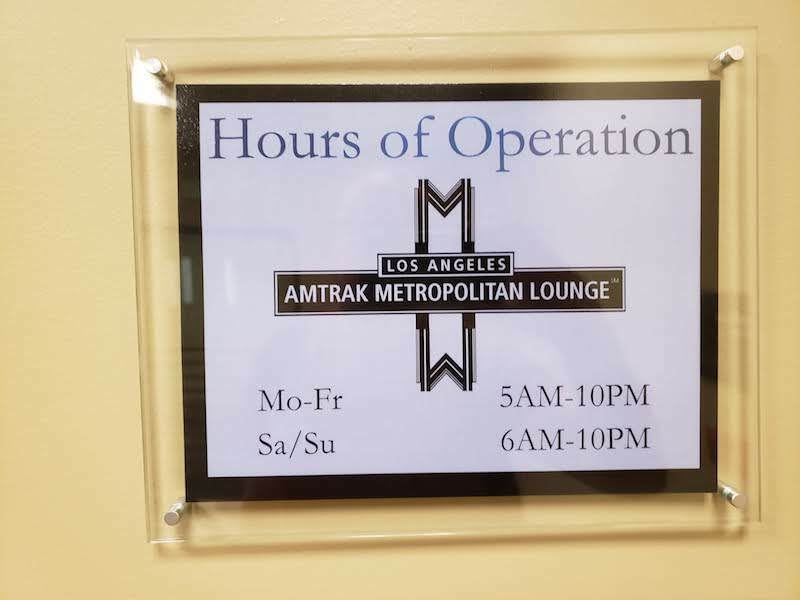 While I have visited a number of lounges in airports, stadiums, and even one floating on the water, the visit to the Amtrak Metropolitan Lounge at Union Station in Los Angeles was my first train station lounge. 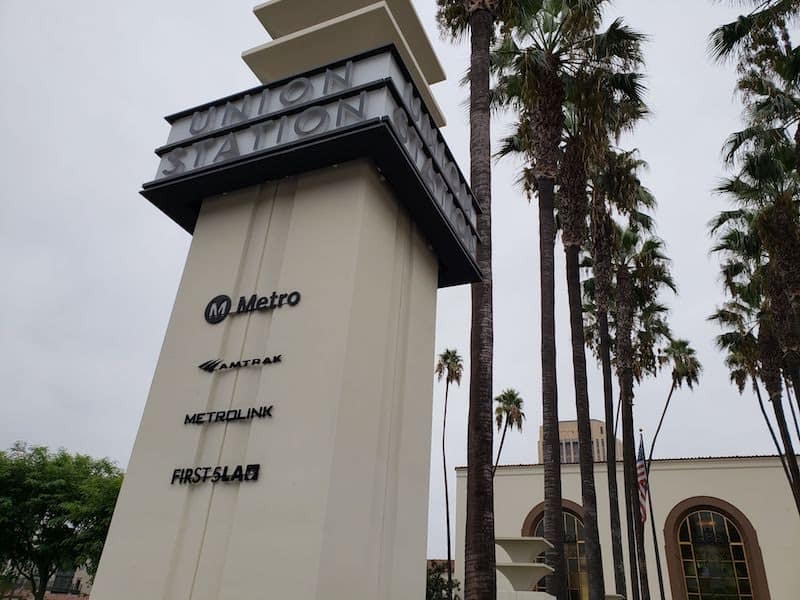 After two nights at the Kimpton La Peer in West Hollywood, I took an Uber to Union Station for my 10:10am departure on Amtrak’s Coast Starlight to Seattle. 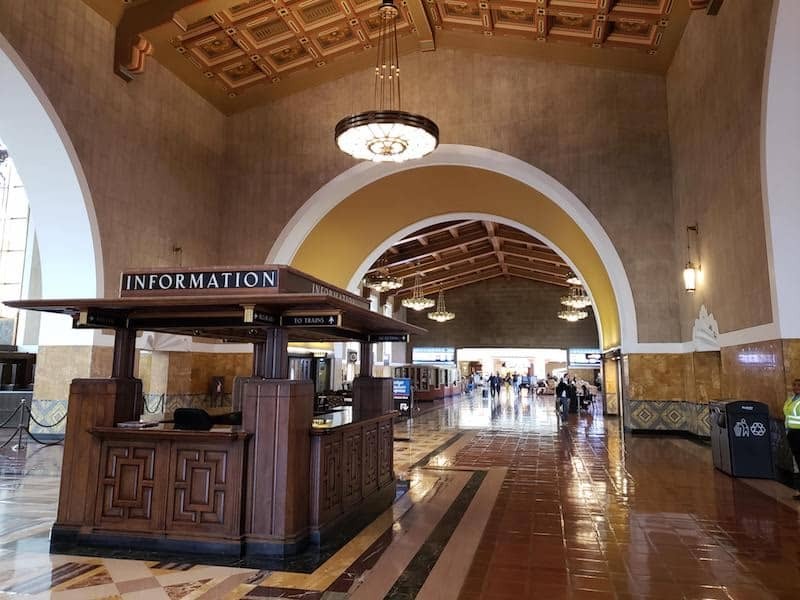 Union Station is a beautiful art deco meets mission style station that opened in 1939. 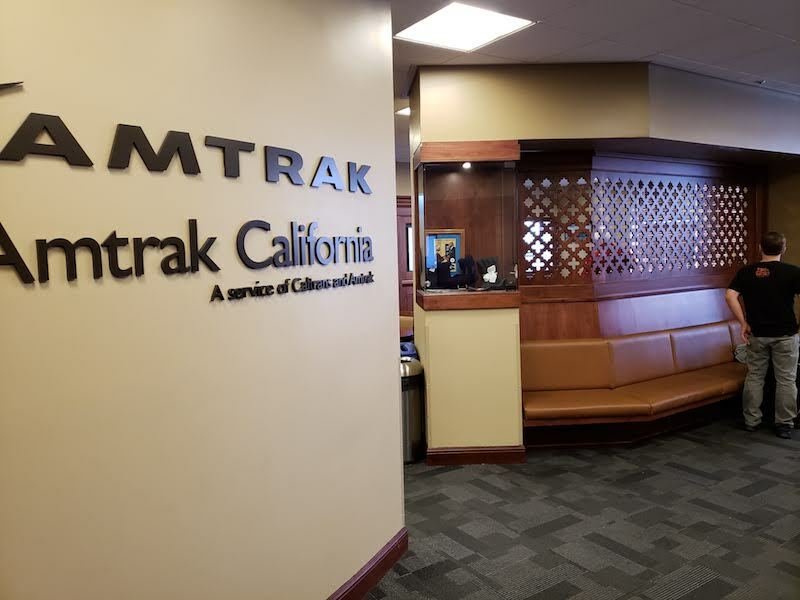 It serves as a hub for Amtrak trains as well as Metro lines in the LA area. 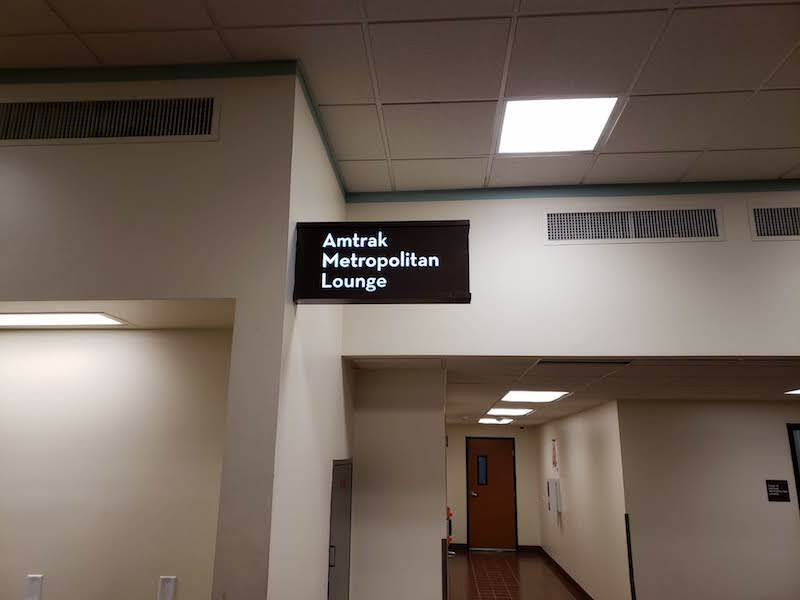 The Amtrak lounge opened in 2013. 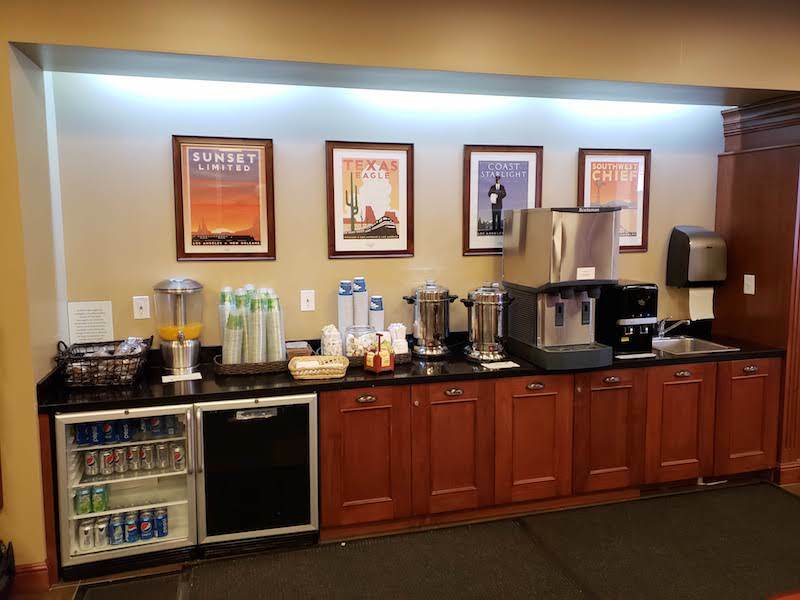 As you walk through the entry hall, you take a right near the ticketing area (look for the Avis car rental desk). There is a small sign to mark the lounge. 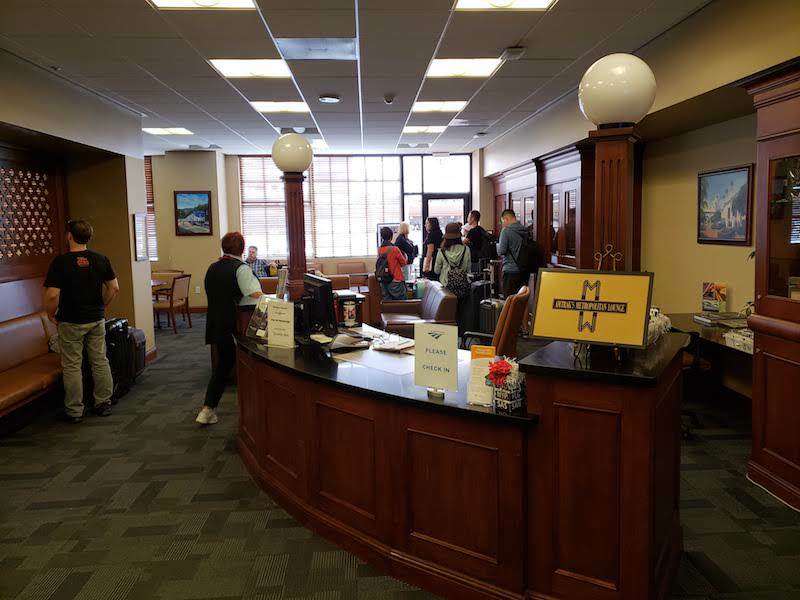 Take the elevator up to the second floor and you will see the entrance. Once inside there is a check in desk where you show your ticket to the agent. 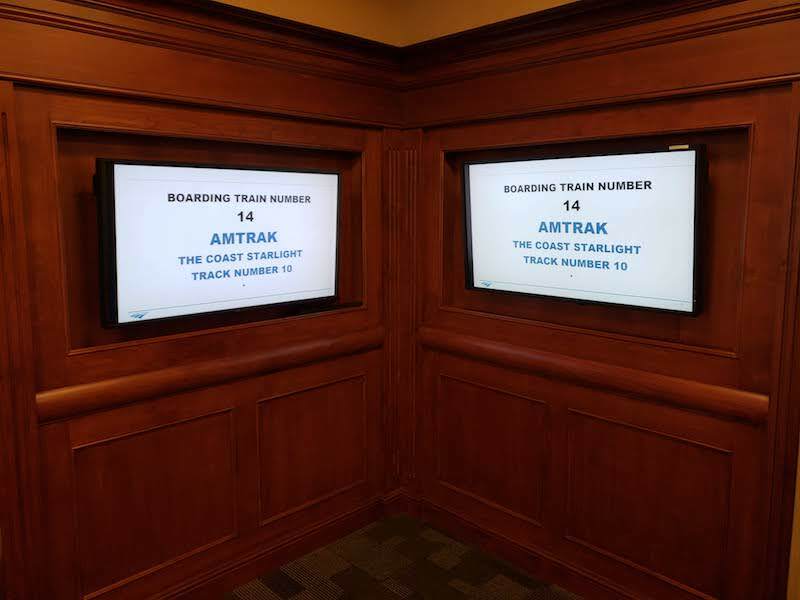 Access is available to those traveling in Business Class or in a Sleeper Car. 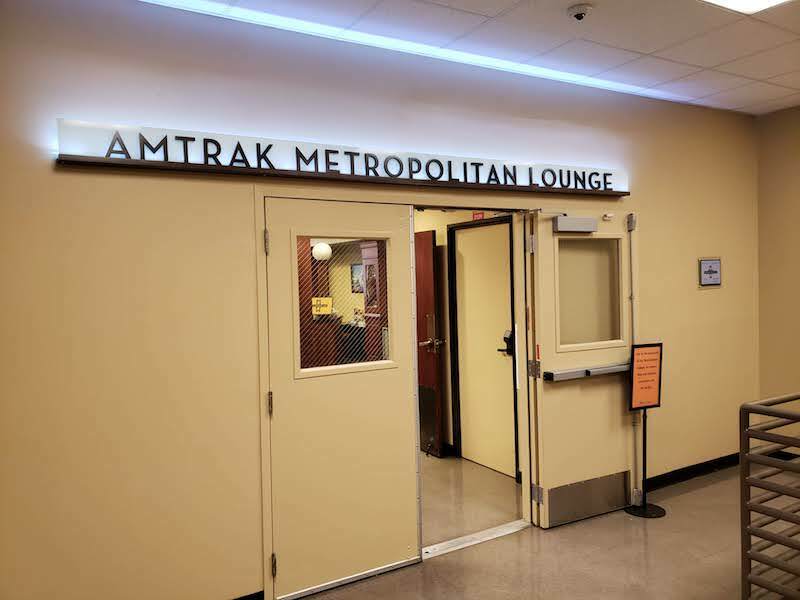 If you have the Amtrak MasterCard you also get one pass per year. 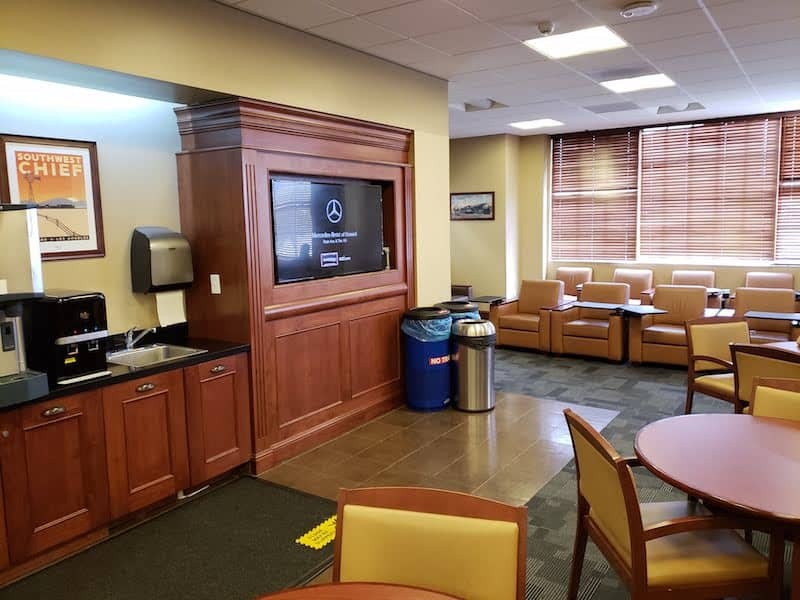 The lounge is quite small and frankly underwhelming. 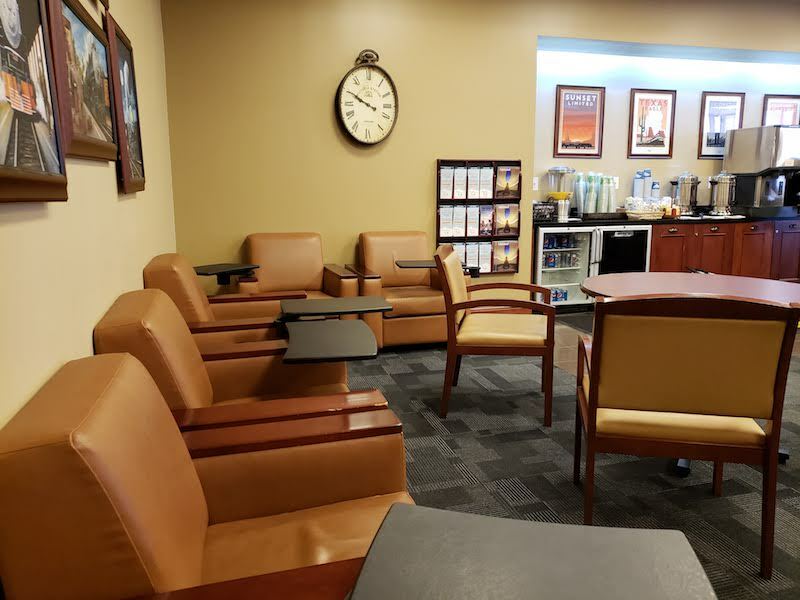 During my visit, there were not enough seats for everyone. 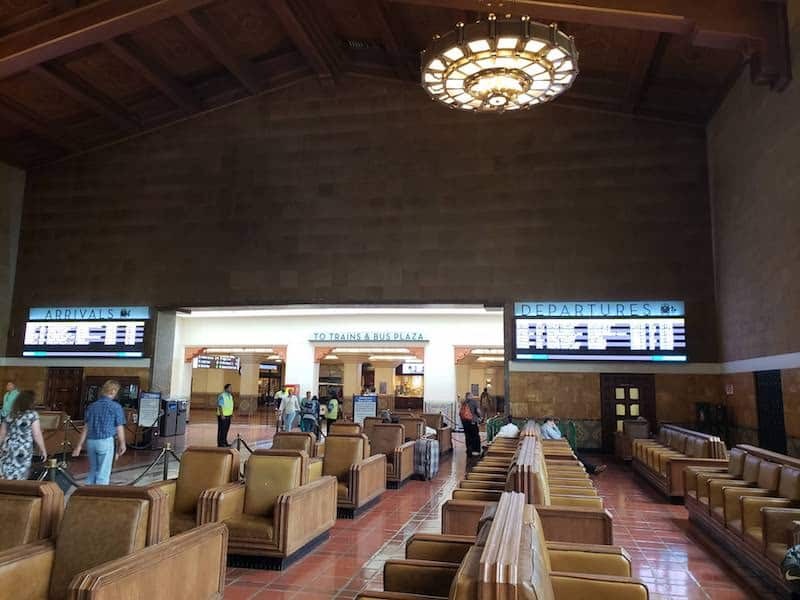 The photos below are after everyone cleared out for the train departure. Against the back wall is the drink and snack station. In the morning there was orange juice, coffee, water, soda and some small muffins. Restrooms are located behind the refreshment station. 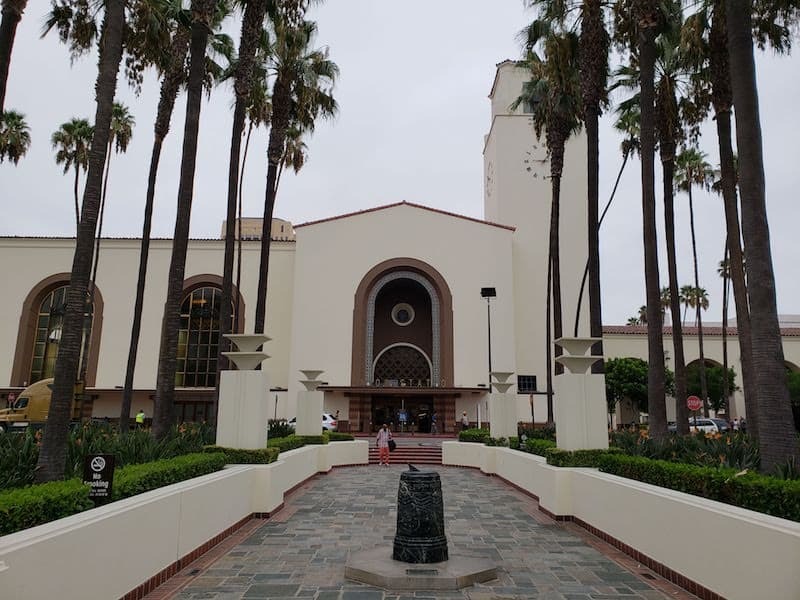 When it was time to depart, the agent made an announcement and explained you could walk through the station to the platform or wait for a “red cap” cart to take passengers that needed assistance. I would not go out of my way for a visit. 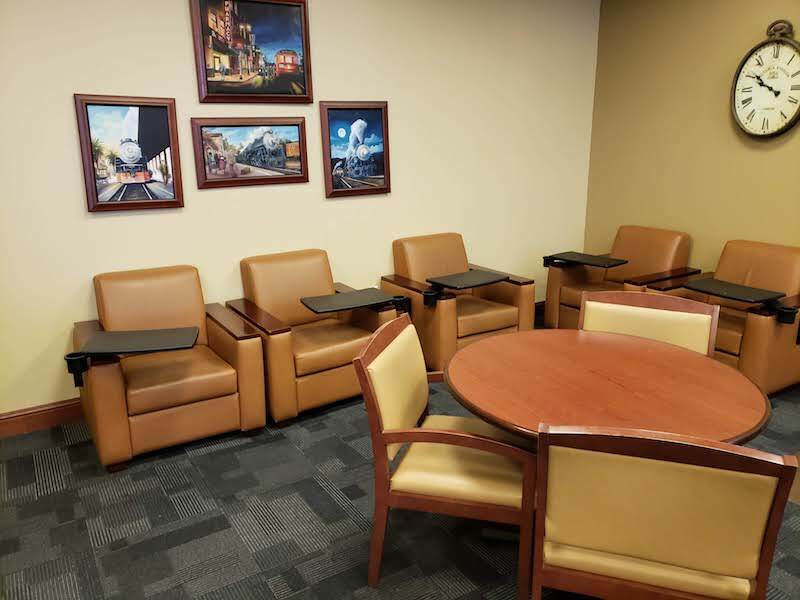 The main station waiting room has much better ambience and more seating. But if you want a free cup of coffee before your train departure, I suppose it could be worth the effort.